The rumored release of the Jordan FLTCLB ’91 has been confirmed after Jordan Brand lined-up one colorway of the kick next month. 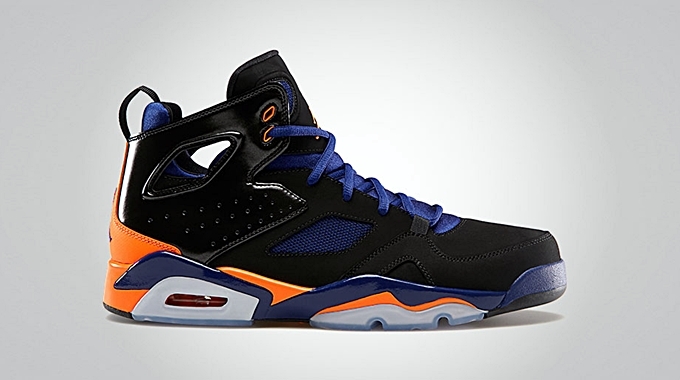 This Air Jordan VI-inspired kick will be available in New York Knicks edition or “Melo” addition, mainly because its colorway was patterned from Carmelo Anthony’s New York Knicks squad. This edition, which is officially listed as the Black/Bright Citrus – Deep Royal Blue colorway of the shoe, will be released anytime in May. From the looks of it, this one could be one of the hottest items in the sneaker market next month so watch out for it!